(KXII) - It's April 15, the deadline to turn in your 2018 tax returns. The paperwork is due, and the IRS says as many as 50 million taxpayers have yet to file. If you are unable to get everything in order before midnight, the IRS recommends filing for an extension. The extension will prevent taxpayers from paying late penalties, but it will not provide more time to pay money that is owed. In a rush to find the nearest post office to send in your return? Find your nearest United States Post Office here. Most tax-related questions can be answered at irs.gov. Done filing your return? Celebrate with some Tax Day deals. Applebee’s: The $1 Strawberry Dollarita is back for Tax Day and the month of April. 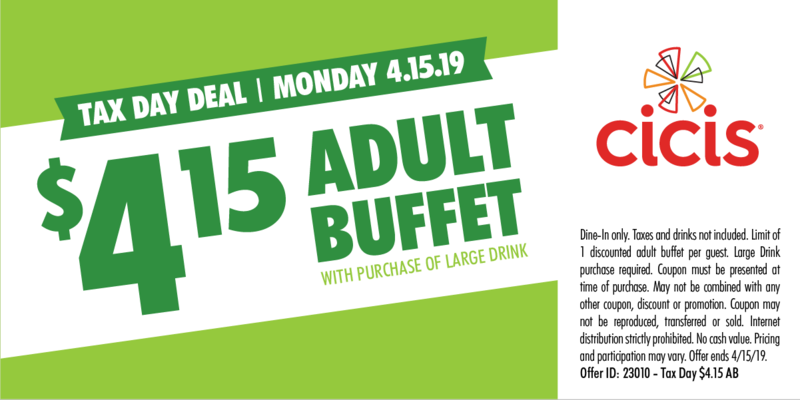 Cici's: Bring this coupon for a $4.15 adult buffets with the purchase of a large drink. 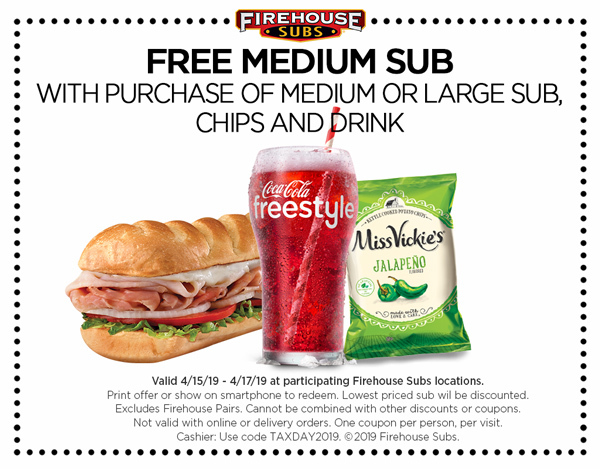 Firehouse Subs: Get a free medium sub sandwich with the purchase of a medium or large sub with chips and a drink. This deal is good through April 17. Pizza Hut: Order online and carryout a large two-topping pizza for $5.99, ends April 15.